Robert Hart Baker is celebrating his 35th anniversary season with the St. Louis Philharmonic, having served as its conductor since 1982. He is in his third season as Music Director & Conductor of the Belleville Philharmonic Orchestra and Chorale in Illinois, and is a National Arts Associate of the Sigma Alpha Iota International Music Fraternity. 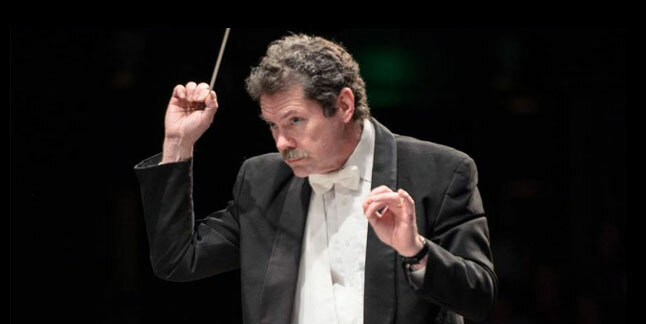 He is Music Director Laureate of the Harrisburg Choral Society & Orchestra and the York Symphony Orchestra & Chorus in Pennsylvania, and is conductor laureate of the Asheville Symphony Orchestra. His broad repertory of classical symphonic, opera, choral and ballet scores are complemented by his skills as a Pops conductor, and he has received critical praise on the podium here and abroad in all genres. His work the York Symphony Association earned two awards from the League of American Orchestras (Student Song Contest in 2003 and Saturday Morning Symphony in 2005). His DVD of the St. Louis Philharmonic Holiday Spectacular won the national Telly Award in 2004 for best classical local cable TV production. In December 2007, his holiday video with the Kirkwood Children's Chorale was in the finals of NBC's nationally-televised competition Clash Of The Choirs. His latest DVD with the same forces is "2015 Holiday Pops Concert". His Blu-ray video recording with the St. Louis Philharmonic "Mario Frangoulis & Friends" was released in November 2012. 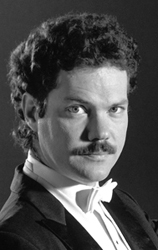 He is currently on the faculty of Lindenwood University as Instructor of Oboe. He is also Conductor of the Cadenza Orchestra as part of the St. Charles County Youth Orchestra staff. Dr. Baker is Artistic Director of the new Great Pianists of the World Steinway Recital Series in Belleville by arrangement with Jack Price. After studies with Herbert von Karajan in Salzburg and Leonard Bernstein at Harvard, Robert was the founding Music Director of the Connecticut Philharmonic Orchestra at age 22, receiving critical acclaim for its debut in Boston Symphony Hall. He holds a DMA in orchestral conducting from Yale School of Music, studying with Otto-Werner Mueller and Arthur Weisberg. He has led more than a dozen concerts at Carnegie Hall as with the New York Youth Symphony, receiving an ASCAP Award for Contemporary Music programming. At the Spoleto Festival, he made his European opera debut conducting Samuel Barber's Antony and Cleopatra, and served as an assistant conductor to Gian Carlo Menotti. He made his debut with the Boston Pops in 2010 as part of its 125th anniversary celebration, with violin soloist Lynn Chang. He has compact disc and DVD releases on several record labels, including Denon, Ernest Bloch Society, and Sonari. His arrangement of the Borodin Nocturne for String Orchestra with the English Chamber Orchestra is a best-seller on Vanguard. He is married to flutist Barbra Duvall Baker. The busy musical couple has performed chamber music together at professional music festivals in St. Petersburg Russia, Cooperstown, NY and White Plains, NY (Performers of Westchester Series).